The Gympie Show Grand Parade is not to be missed. See all our winners and placegetters from many of the livestock events and their parade around the grounds along with our showgirls, show and community members. 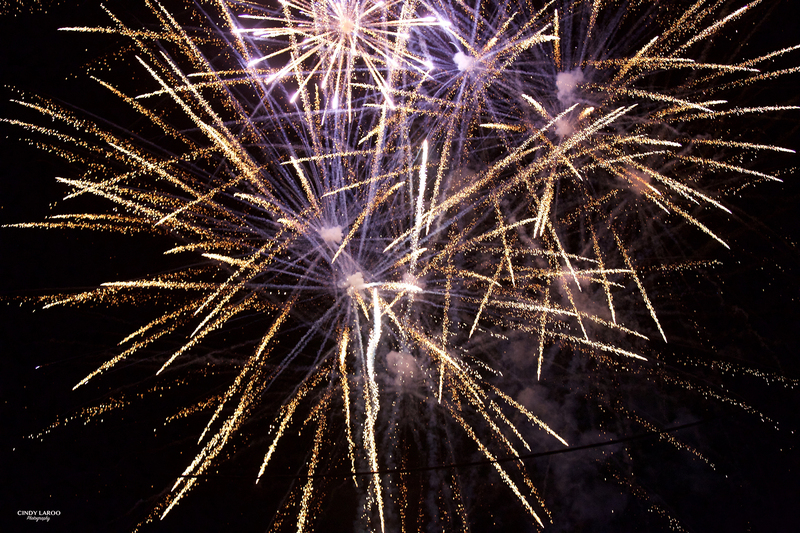 See the spectacular fireworks displays on Thursday, Friday and Saturday nights sponsored by Tom Grady Rural and enter the competition to win prizes. 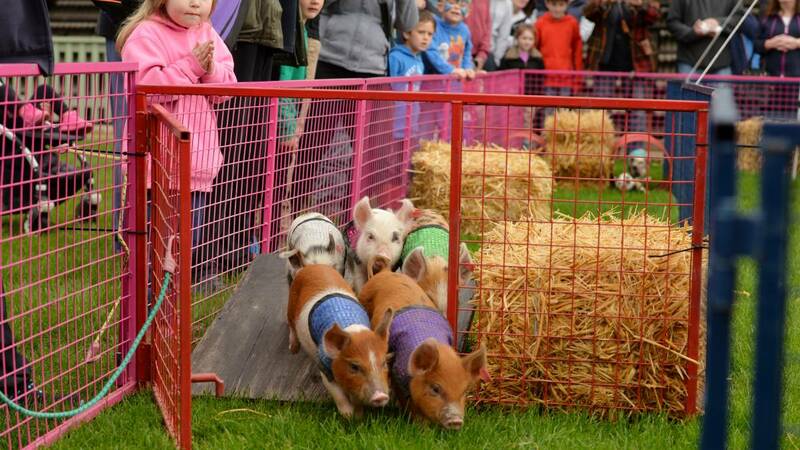 It is not always the fastest pig that wins the race, it is sometimes the smartest pig. Usually in a deep sleep, Noah’s Farm pigs hear the Bugle Call and they hurriedly run into their starting box to await the commencement of the race. See all the action of these little guys at our show. 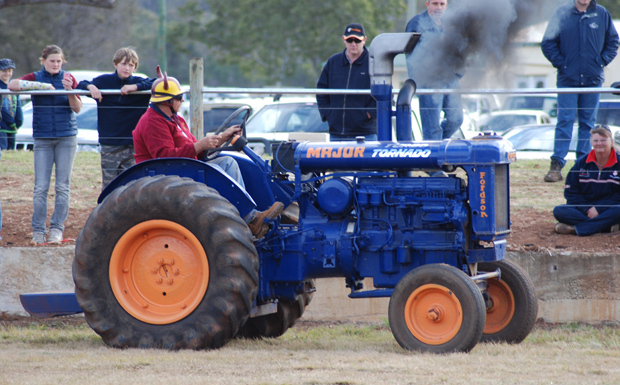 The Tractor Pull is a fun crowd pleaser with lots of grunt and noise for those that enjoy big powerful machines. The object of the Tractor Pull is simple, to pull an ever-increasing load further down a dirt track than anyone else in your class.A puller does not have to go faster than a competitor, only further. Unlike other forms of motor sport, there are no eliminations. Once a class starts the competition continues until a winner is determined.Should more than one competitor clear the 100-metre mark, then the sled has more weight added and the tractors who ‘Full Pulled’ competes again to determine an outright winner. Again this year there will be the very popular working dog demonstration. Cattlemen and women, will be using their dogs to move cattle around an arena and through obstacles. The natural herding instincts of the Australian Kelpie and Border Collies shows the high level of control which can be gained by using commands. This is a sight to be seen for young and old. Not to be missed! The Trots have been a crowd pleaser for several years at the Gympie Show. 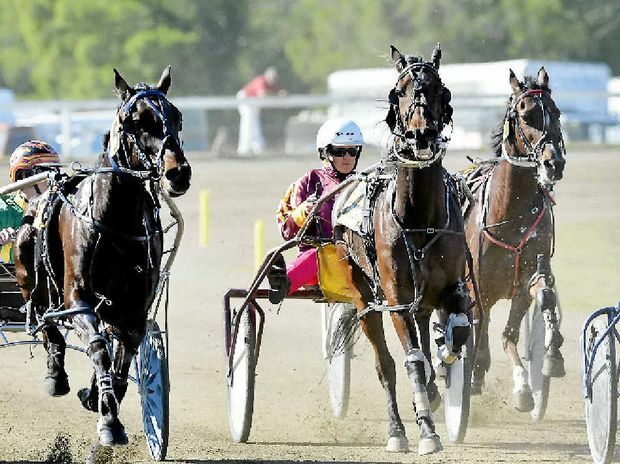 Trots heats and finals will be on Thursday and Friday of the Show. To find race times go to the PROGRAMME. IT’S BACK & it’s going to BIGGER & BETTER then ever! Gympie Show will be running it’s annual Ute Muster in conjunction with QCAS. This year we have Opposite-Lock Gympie coming on board as a Major Sponsor & also hosting an Inter-dealership Competition. The Inter-dealership competition will involve all local Ute Dealerships nominating their Beastiest Utes they’ve been working on for the coming months. Nominations this year will be done online this year -more details to come. Last minute nominations & arrival will be from 11am & Close at 12pm at the Dairy Arena entry. Judging will commence at 12:30pm for a 1:30pm Presentation. Entry is $10 for 1 category & $5 each for each additional category.